We woke up first thing this morning and grabbed breakfast to-go during our walk to City Hall. 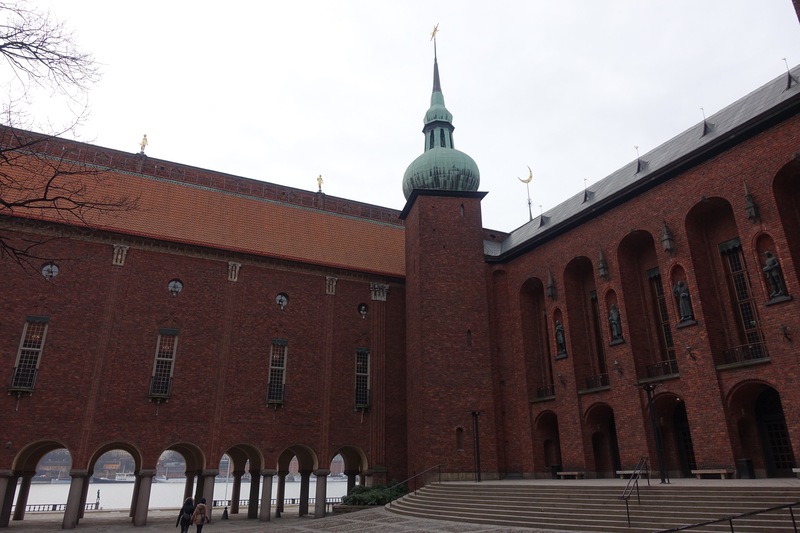 Stockholm City Hall is the center of governance for the municipality, and also the location of the Nobel Prize banquet every year on December 10th. You may recall my previous post from Oslo concerning the Peace Prize. However, it is the only Nobel Prize that is presented in Oslo rather than in Stockholm. This is because Alfred Nobel specifically wrote this request into his will. Originally there were only 5 awards, Chemistry, Physics, Literature, Medicine, and Peace to award individuals who had made significant contributions to the progress and welfare of humanity. The Economics award was added by the Swedish Central Bank in 1968. Interestingly enough, City Hall is not an old building. It’s celebrating only its 93rd birthday this year. Designed by the architect After City Hall, we stopped for lunch before heading over to the Vasa Museum. The Vasa is a the only almost fully intact Ragner Östberg in 1923, he desired for the building’s structure and facade to look old without actually being old. Ragnar drew inspiration for the interior rooms from a variety of historical eras, but also made major design changes as the building progressed and his whims of fancy changed. The Blue Room (although not actually blue) recalls the elegance of a wide open Italian piazza, an assembly space for various events and banquets. 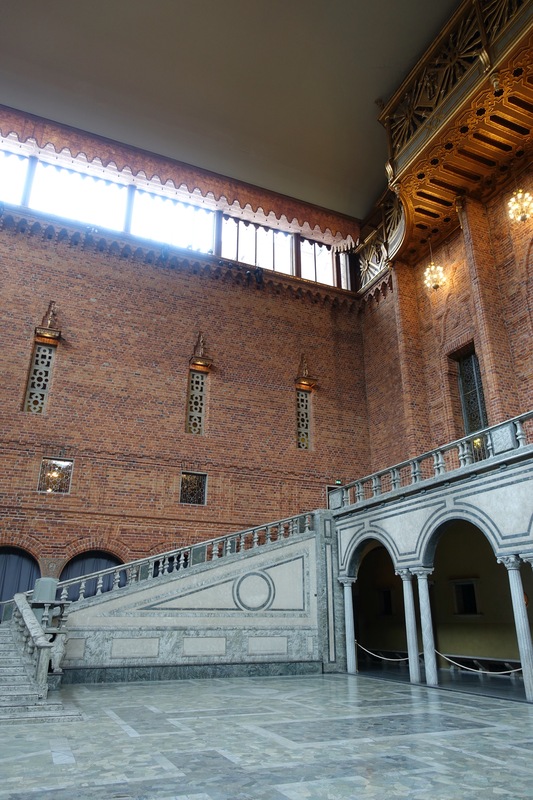 Knowing that patrons would be making their entrance via the grand staircase, Ragnar included a star on the far-opposite wall. It is said that if a person focuses on that star as they descend, they will maintain proper posture while all eyes are focused on them; and so far, no Nobel Prize winner has ever tripped or fallen as they enter a banquet in their honor. The Gold Room is opulently decorated in colorful gold mosaic, bringing to mind the glitz and glamour of the Byzantine Empire. The artist and his assistants only had two years to complete the room’s walls prior to a certain event that had to take place on a specific date for historical reasons. As a result, some mistakes were made with no time to correct them. The depicted castle is missing one of the three crowns (this was supposed to depict Tre Kronos, the Castle of Three Crowns), and the king riding the horse is without a head due to scaling errors (although it is historically accurate since the king was eventually beheaded). After City Hall, we stopped for lunch before heading over to the Vasa Museum. 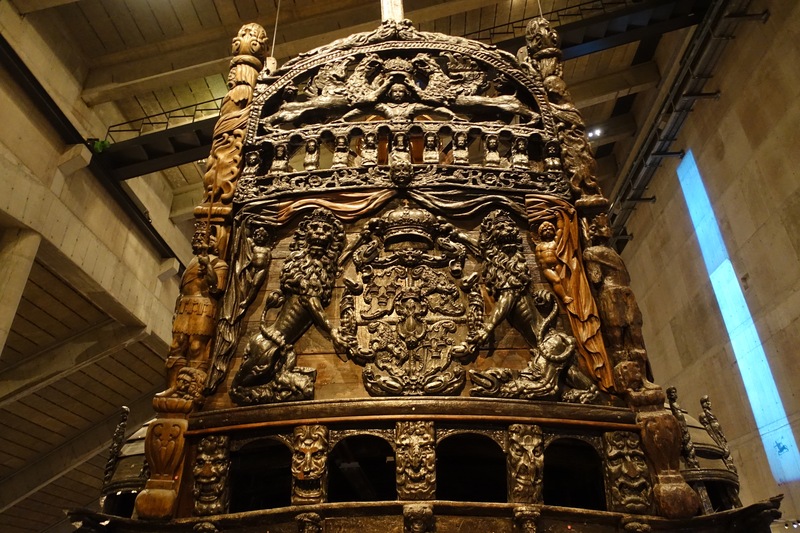 The Vasa is a the only almost fully intact (98% original) 17th century ship to ever be recovered. The ship was built on the orders of King Gustavus Aldophus in due part because of a military expansion campaign he initiated with Poland-Lithuania and his desire to enter the Thirty Years War. At the time, Sweden’s political and military power was an afterthought and neighboring nations barely acknowledged its presence. Gustavus is widely regarded as one of the greatest military leaders of all time. He was progressive in his governance, innovative in his military weaponry, raised Sweden to be a Great Power. The Vasa would have been the first double-decker war ship of the time, and one of the most powerfully armed vessels in the world. She was constructed under contract by private Dutch entrepreneurs between 1626 and 1627. 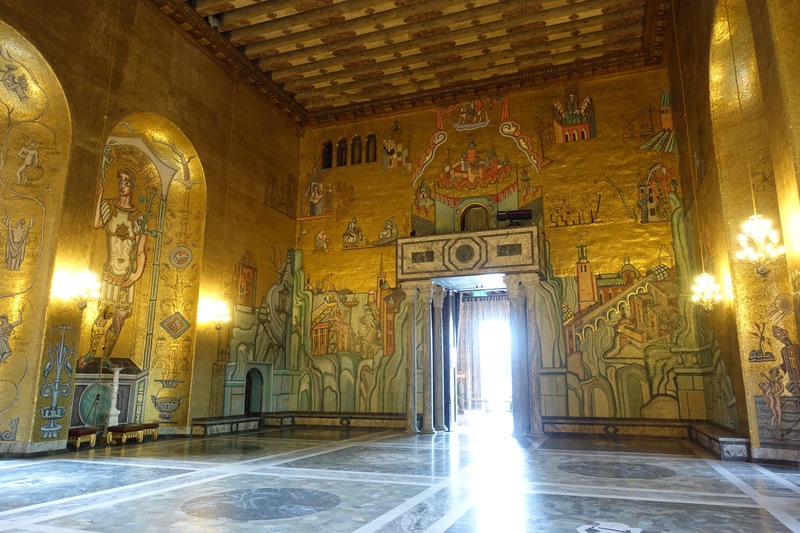 The ship was richly decorated in symbolic carvings illustrating his ambition for Sweden. 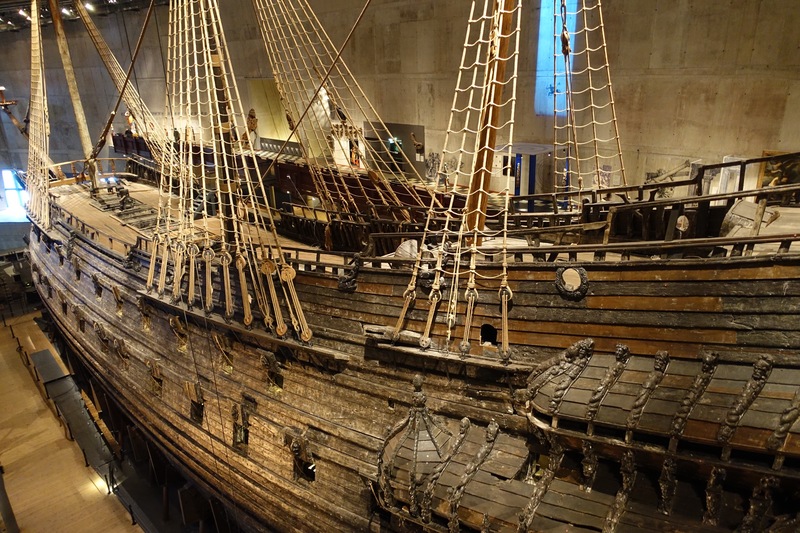 However, due to severe time constraints, and a lack of expertise (as no one in the country had ever built a double-decker), the Vasa’s final design proved too unstable and top-heavy. On her maiden voyage on August 10, 1628, she was only 1300 meters out of port when a wind caused her to keel and ultimately sink. Fortunately for us, the ship-channel she sank in has a low salt content. This allowed her to lay relatively undisturbed and remarkably well-preserved for over 300 years. 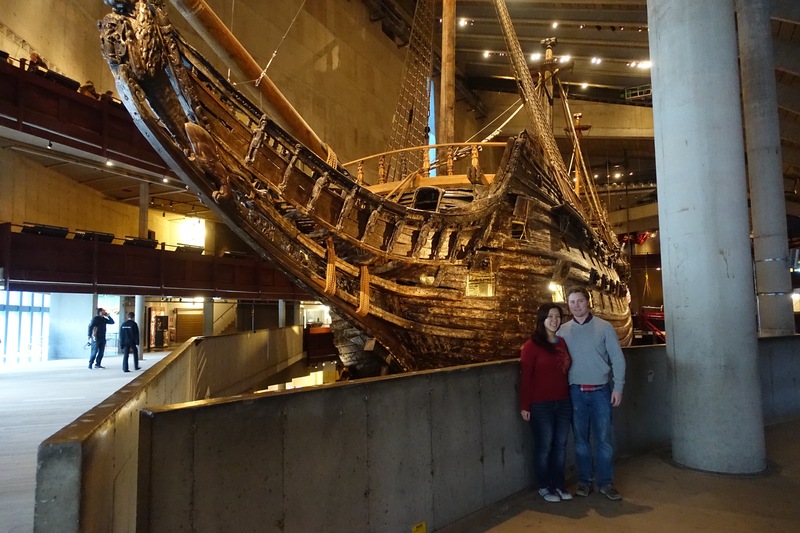 The Vasa did not sail again until her hull was lifted from the harbor floor in 1961. I was personally astounded by the size of the ship. She is the first thing you see when you enter the museum, and she simply dominates the room. 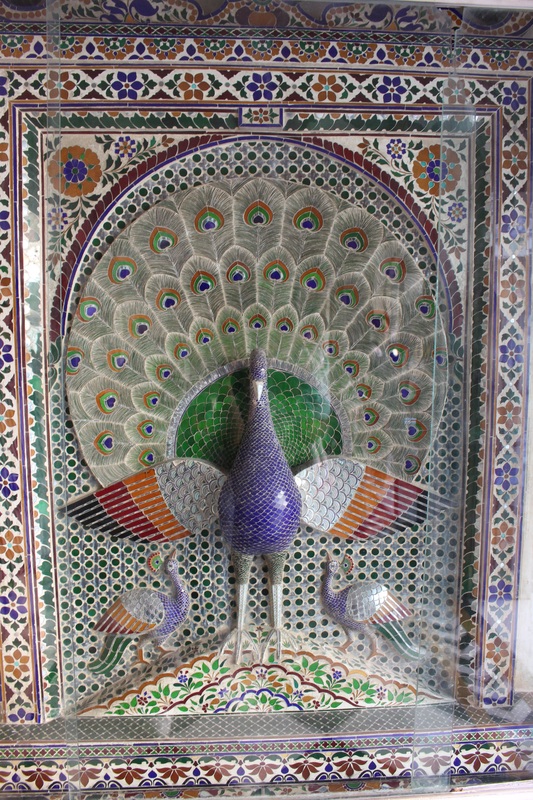 I couldn’t stop taking pictures of her intricate carvings and exquisite detail. Our take-away from the day is that time is a double-edged sword. For some, time is a luxury, while for others, time is a looming specter. In both the cases of the Gold Room and the Vasa, had the designers had sufficient time to complete the tasks at hand, we believe that the inherent flaws could have been avoided. 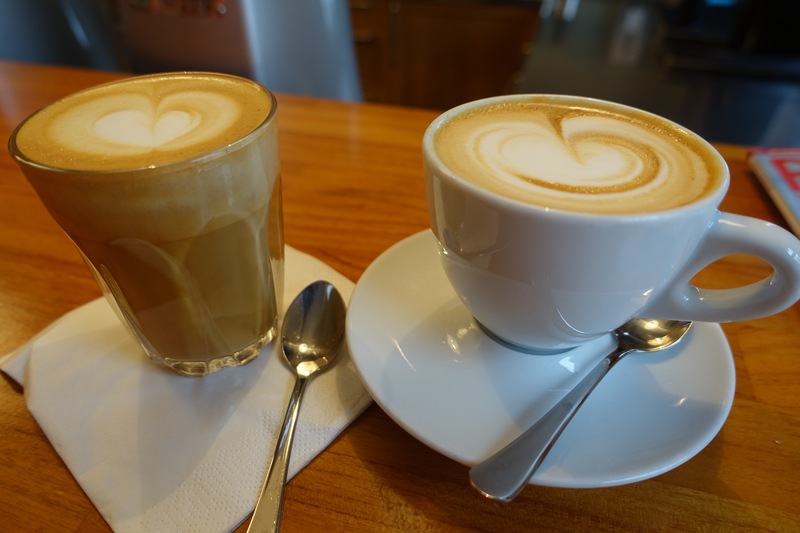 We started off our day with a latte and cappuccino from Tim Wendleboe. 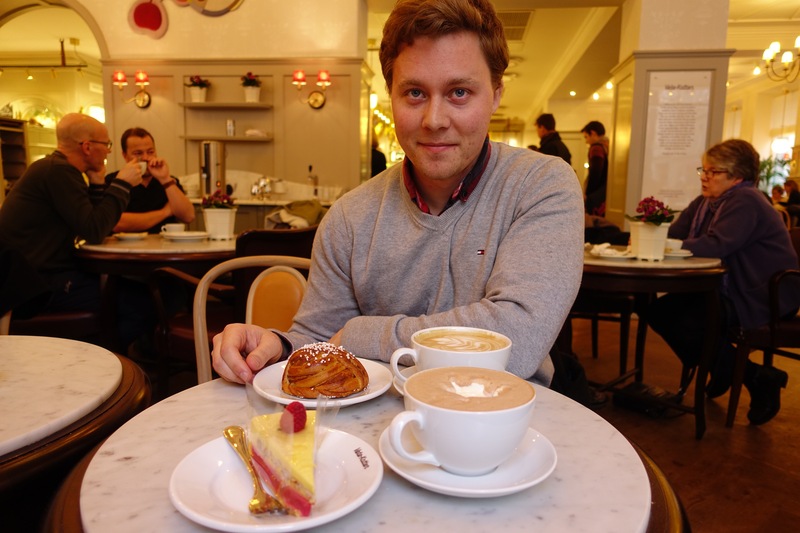 Its known as one of the best places to get coffee in Oslo, and also serves as a micro-roastery and training center for all things related to the art of coffee. Tim has claimed multiple championship titles including that of “World Barista Champion.” Tom, the coffee conossieur, said that it was probably the best coffee he has ever had, and I’d have to agree. 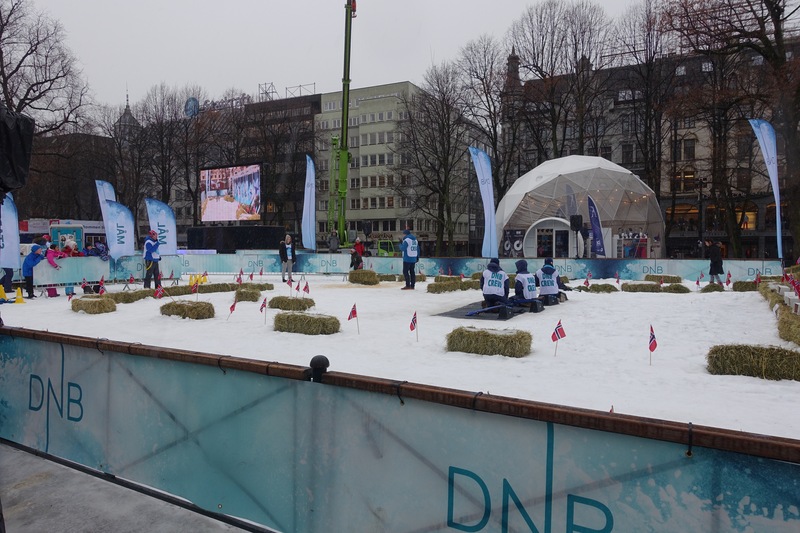 Walking further south to the historic city center, we passed Damstredet, a street that has preserved the charming, small town character of Oslo with its pedestrian-only access and wooden houses. Unfortunately, since it was snowing, the sloping drive up to it simply seemed too precariously slippery to the both of us. We spent our afternoon strolling around Old Oslo and passed the Storting Building (Parliament). Oslo’s parliament was established in 1814, but it was not until 1836 that a government proposal was approved for the construction of a permanent building. 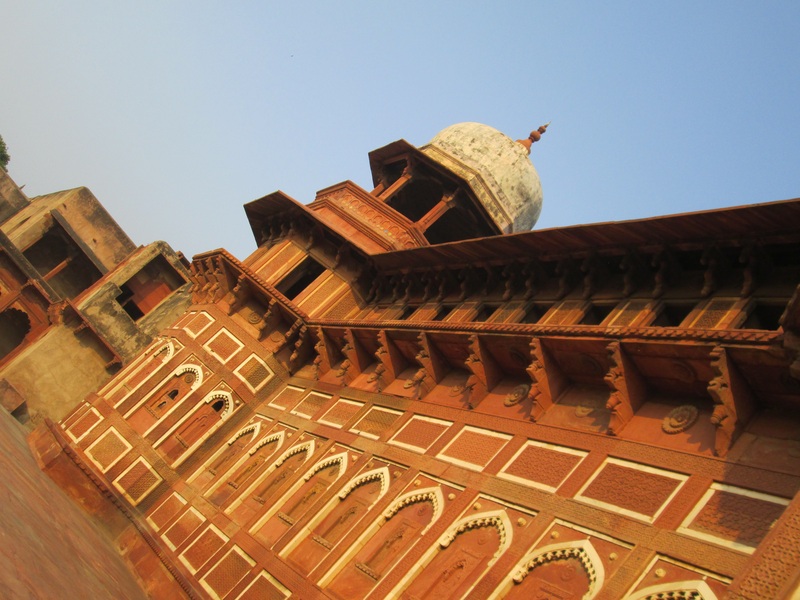 The location of this structure was finalized in 1857, and a competition was held for the architectural design. Even though Heinrich Ernst Schirmer and Wilhelm von Hanno won, their proposal looked to much like a church and was thus struck down. Eventually, Swedish architect Emil Victor Langlet was chosen, and the parliament moved into their new permanent residence on March 5, 1886. 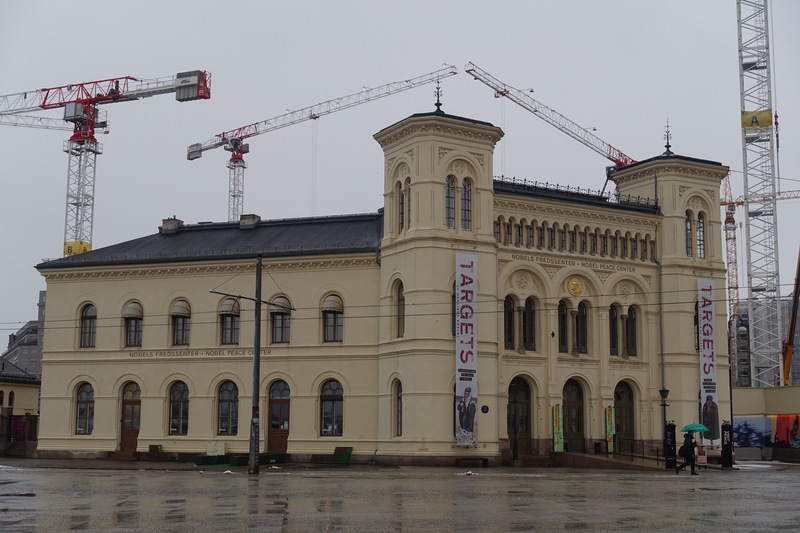 In 1860, the building cost 957,332 NOK to construct. That’s $31.3 Million dollars in present day value! 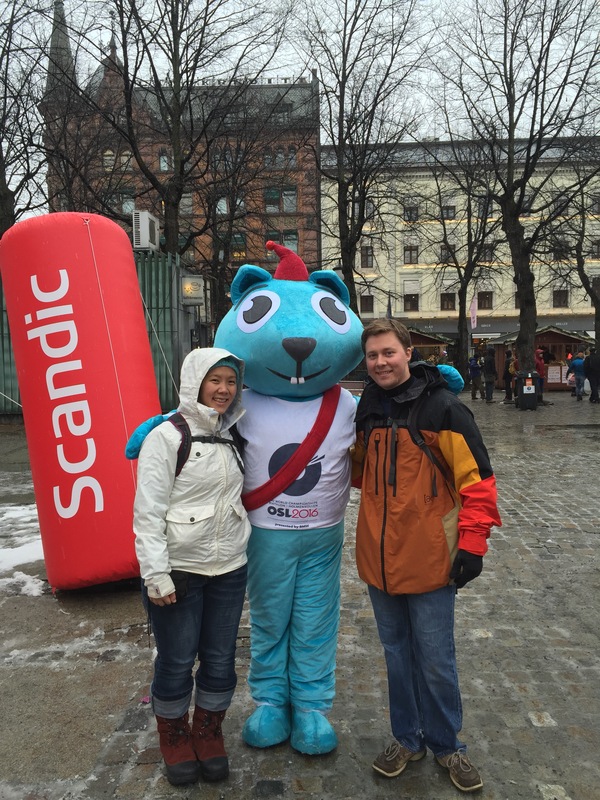 Coinciding with our trip, is the 2016 World Biathlon Championship, so we strolled through a pop-up market celebrating this event with kids participating in mini-versions, and were even able to take a picture with the mascot. Next, we passed the Nobel Peace Center which celebrates the history of this prestigious award. Ironically, Alfred Nobel, is the inventor of dynamite, and it was a premature obituary condemning him for profiting from the sale of arms, that inspired him to establish the Nobel Prizes. The one thing about traveling in a foreign country whose citizens are predominately one ethnicity or skin tone, is the complete incapacity for me to blend in. Much like a blonde friend of mine who studied abroad for a semester in Hong Kong, I am a curiosity to the locals. 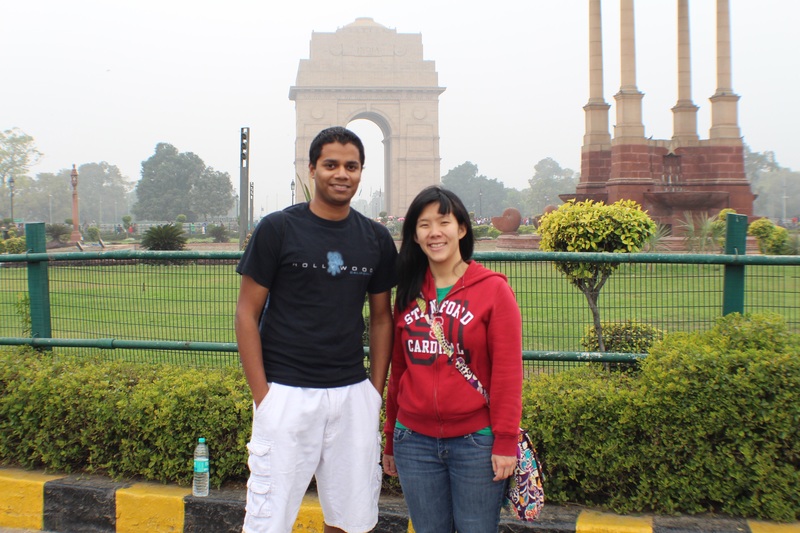 More so an anomaly, because it seems that East-Asians do not often visit India. It is a little strange to feel eyes on oneself everywhere I go. 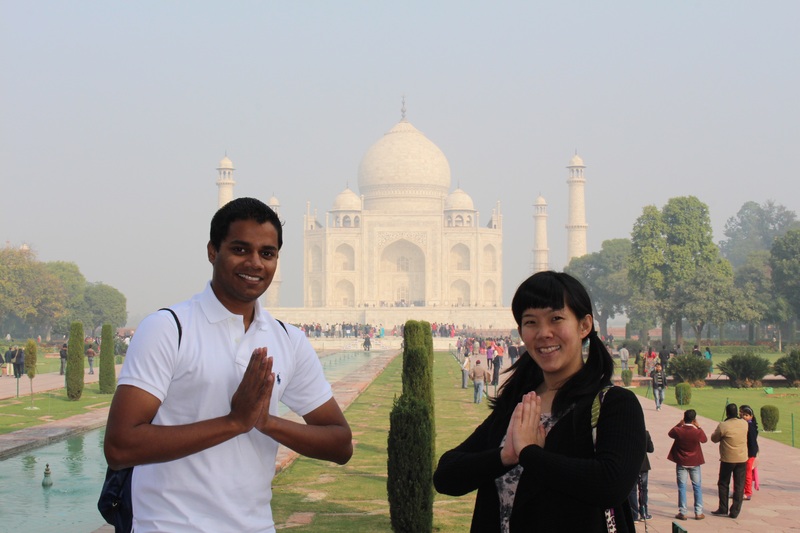 This was best exemplified today when we went to visit the Akshardham. A toddler baby pulled my hair as we were going through security, and an entire school trip of boys all shouted hello and goodbye as we walked past their orderly line. One even ran up to me to shake my hand. 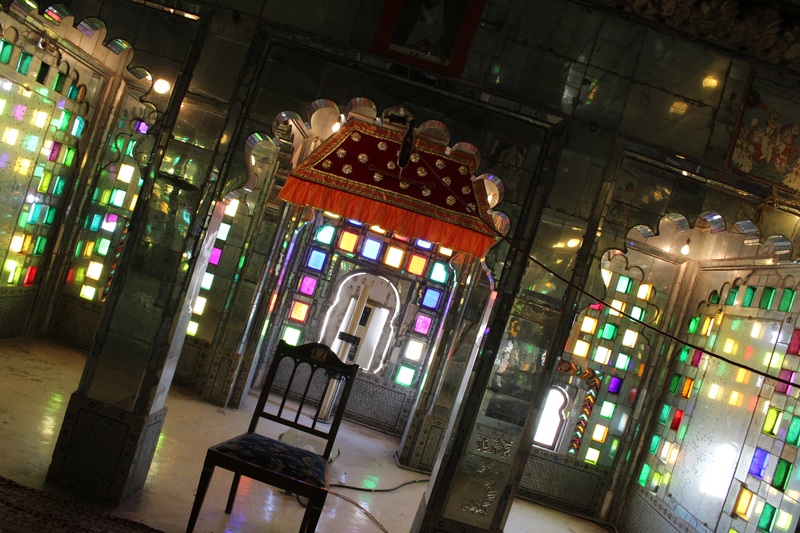 The Akshardam is a massive complex with a Hindu temple, devoted to Swaminarayan as its central focal point. Swaminarayan is the founder of one of the sects of Hinduism. 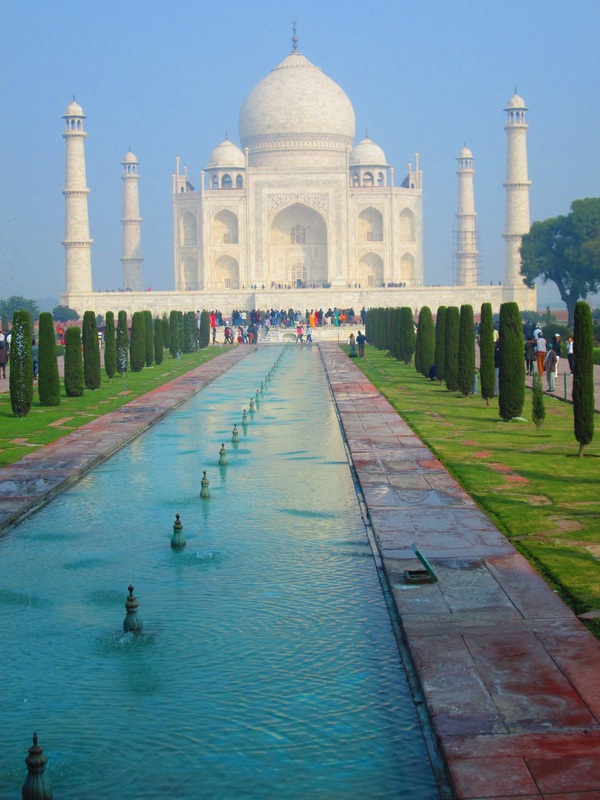 Originally born in Chhapaiya, Uttar Pradesh, India in 1781, he began a 7-year pilgrimage across the country on June 29, 1792 at the age of 11 after the death of his parents. He traveled across India and Nepal in search of an ashram that practiced what he considered to be the correct understanding of Vedanta, Samkhya, Yoga, and Pancaratra, the four primary schools of Hindu philosophy. 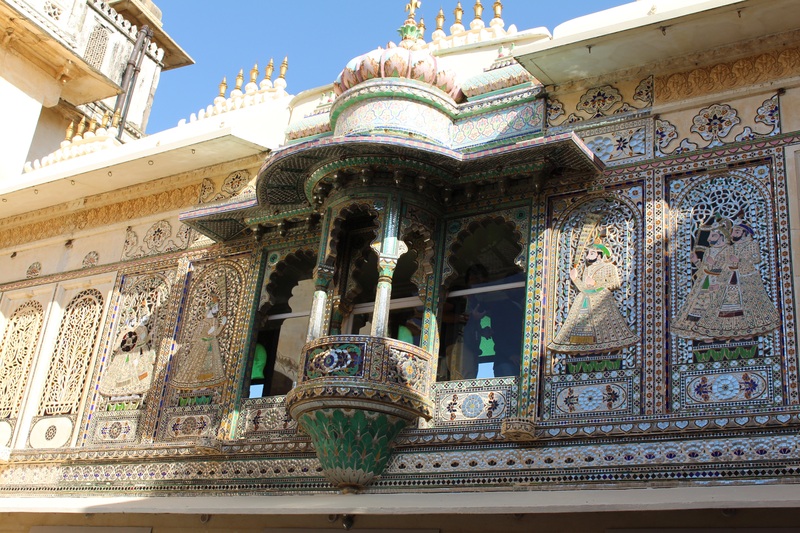 Finally, in 1799, Swaminarayan’s travels as a yogi concluded in Loj, where he stayed as a disciple of Ramanand Swami, and took over leadership as guru after Ramanand died. Swaminarayan passed away on June 1, 1830. 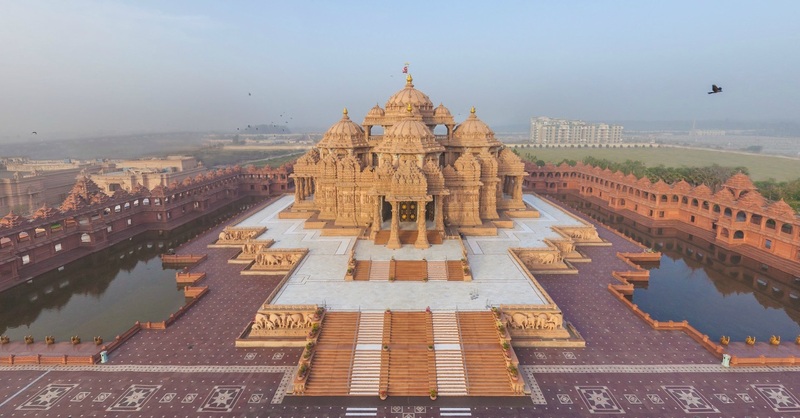 The Akshardham, although a more recent structure that was just completed in 2005, is designed according to ancient Vedic text, and features a blend of architectural styles from across India. 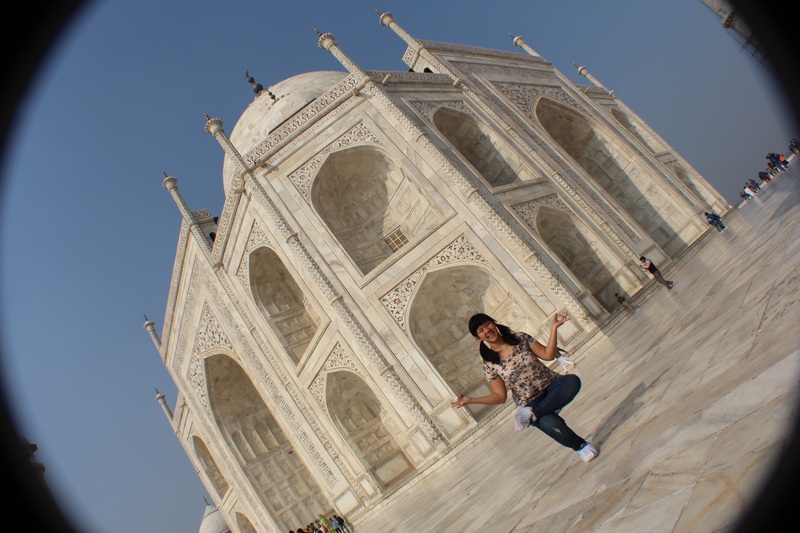 It is not supported by steel nor concrete, but is constructed entirely from Rajasthani pink sandstone and Italian Carrara marble. 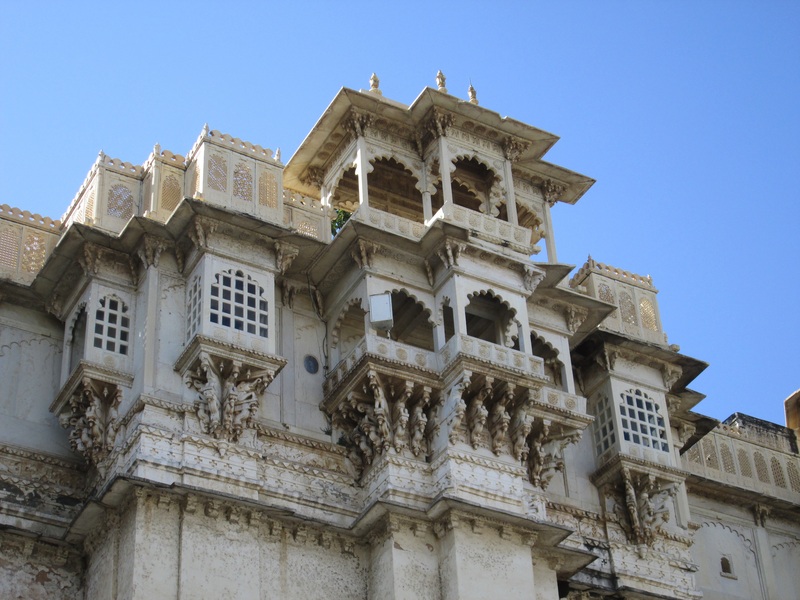 Pictures can’t even begin to illustrate the ornate detail and craftsmanship that was invested into each microscopic niche of the temple. It’s truly an awe-inspiring piece of architecture. 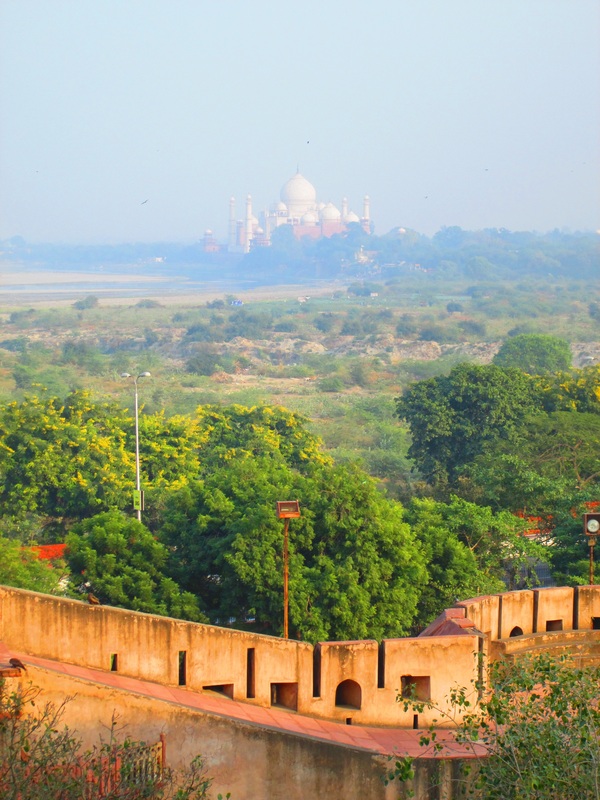 To quantify, the main monument is 141 ft high, 316 ft wide, and 356 ft long. 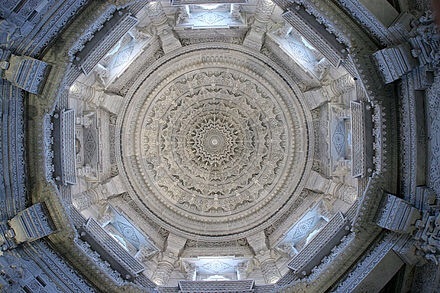 There are 234 intricate pillars, 9 domes, and 20 0,000 murtis and statues of Hinduism’s sadhus, devotees, and acharayas. It also contains 148 scale-sized elephants. This total building weighs a massive 3000 tons. 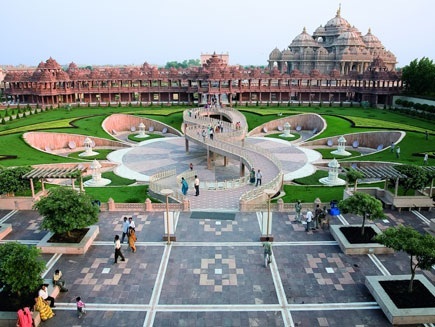 In stark contrast to the elaborate and jaw-dropping Akshardham, Raj Ghat is understated and simple, as one would expect of the burial place of Mahatma Gandhi. Its difficult not to be overwhelmed by the legacy this great man left behind. Not only did he free his nation through peace, but he also inspired countless movements across the world. You can see his influence span from the American Civil Rights Movement to the Occupy Wall Street Moment. So many of the leaders we admire today have used Gandhi as there guiding light, Martin Luther King, Cesar Chavez, Nelson Mandela, and the Dalai Lama are but a few. 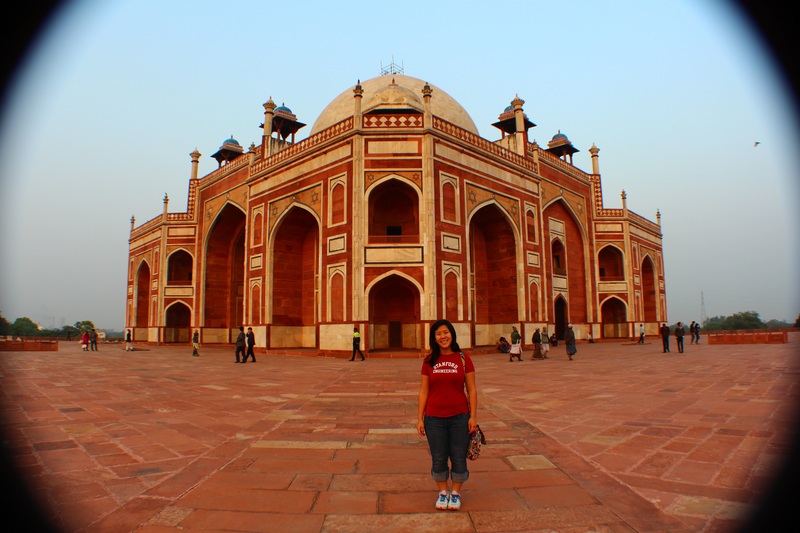 Our last stop of the day was Humayan’s Tomb, the inspiration behind the Taj Mahal, and the resting place of Emperor Humayan. 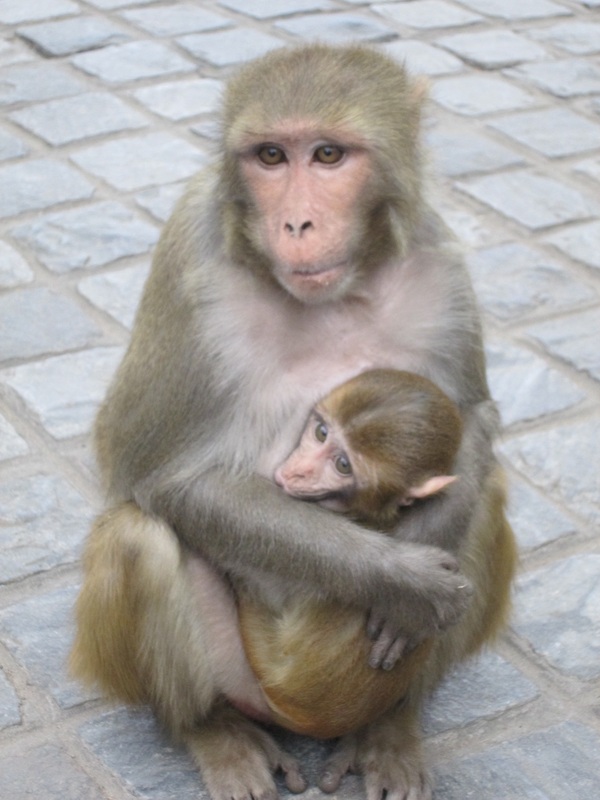 “Be the Change you wish to see in the world” ~ Mahatma Gandhi. After checking-in to our rooms, we took some time to scour off the travel grime, and prepare for our day. We arrived at the hotel around 7 AM, and had decided that taking a nap would basically just serve to encourage our jet lag. 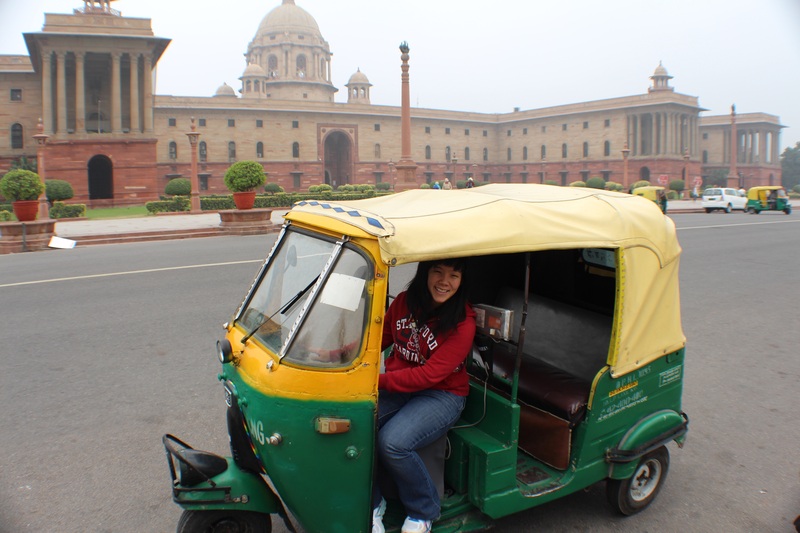 New Delhi is the capital of India, and the seat of its executive, legislative, and judicial branches. Although the capitol was originally in Calcutta in the early 1900s, the British, formally decided to migrate the seat of their power to New Delhi in 1911. It is not difficult to feel the british influence when one walks along the kingsway. Master-planned by the architect Edwin Lutyens, New Delhi is centered around two central promenades call the Rajpath and the Janpath. The streets are wide and tree-lined, a design that was both ambitious and forward thinking in its hey-day. 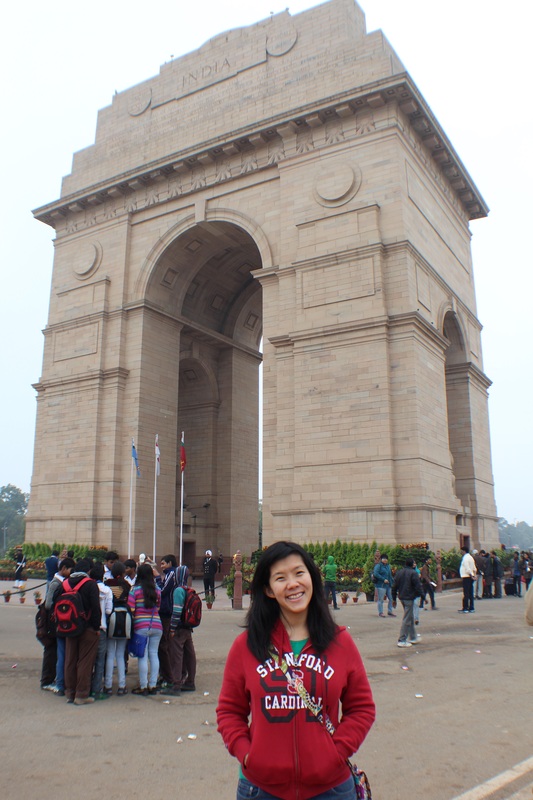 Our first stop, was the India Gate. 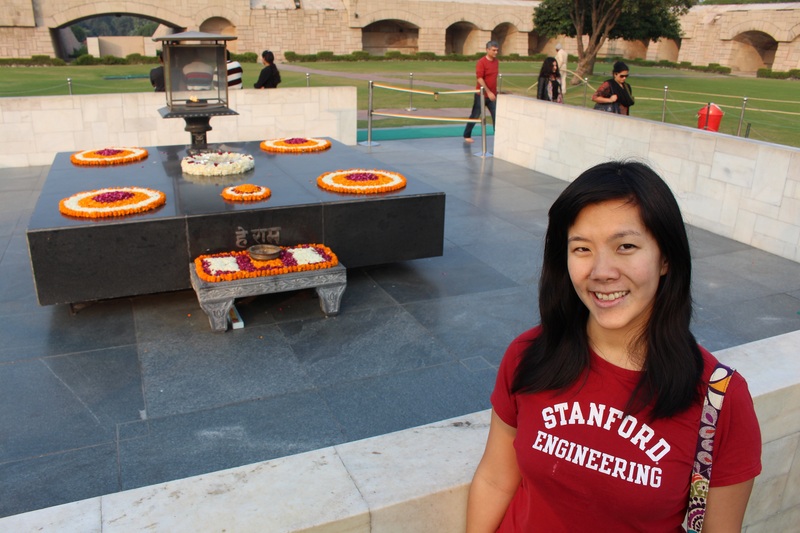 It sits along the eastern edge of the ‘ceremonial axis,’ and is a towering memorial that evokes an architectural style akin to the Arch of Constantine in Rome, or the Arc de Triomphe in Paris. It calls for the remembrance of the 82,000 soldiers of the undivided Indian Army who lost there lives between 1914 and 1921 during the First World War and in the Third Anglo-Afghan War. Below this towering structure, is an understated black marble plinth that bears a reversed rifled, capped by a war helmet, bound by four urns, each with a permanent jyoti (light) from flames. Inaugurated in 1972, this is the Amar Jawan Jyoti, India’s Tomb of the Unknown Soldier. At the opposite end of the Rajpath, lies the secretariat, home to some of the most important ministries of the Cabinet of India. 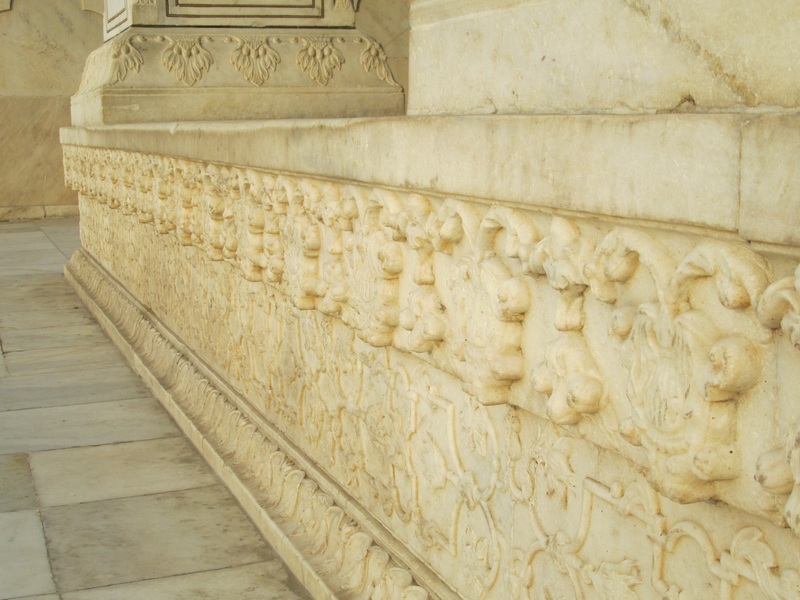 Much of the buildings of the North and South block are classic in style, but it is not difficult to see the Mughal or Rajastani motifs that have been incorporated. 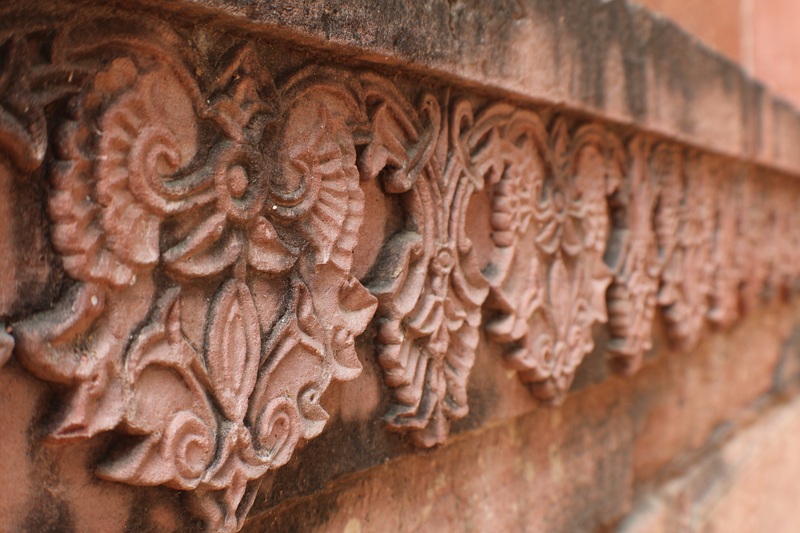 They are visible in the form of the perforated screens which shield from both the scorching sund and the monsoon rains. 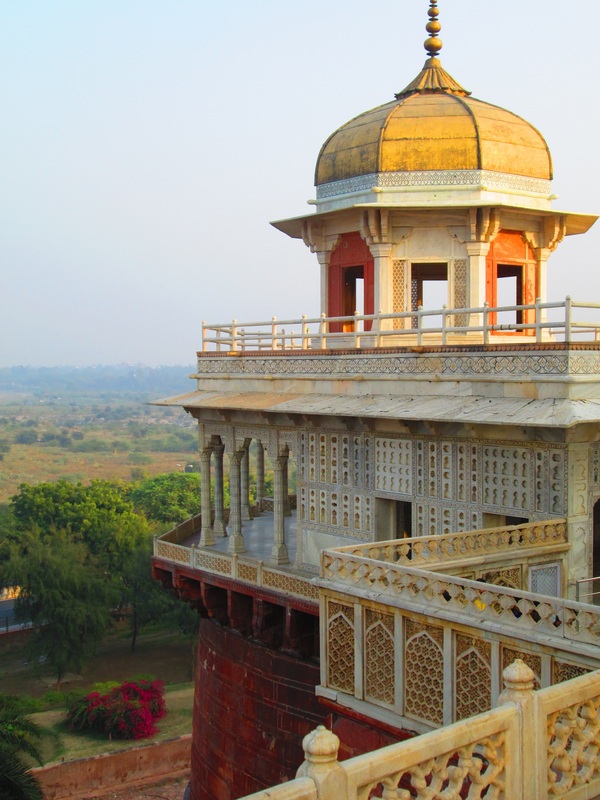 Another feature is the dome-like Chatri, which provided shade to travelers in ancient times. 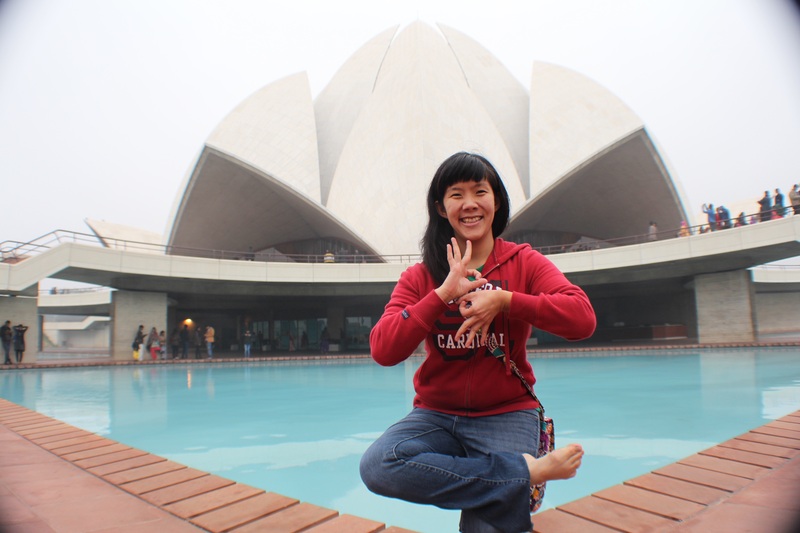 Our last stop of the day was the Lotus Temple. 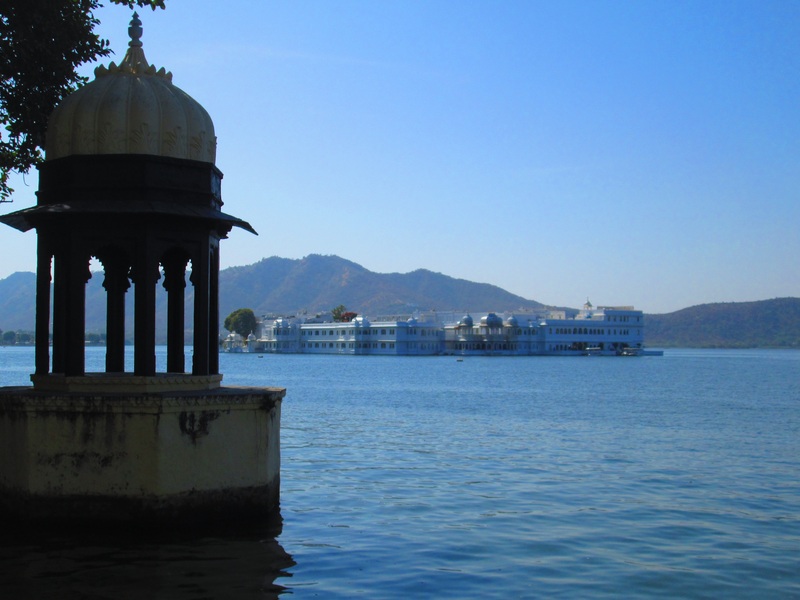 This location serves as the Mother Temple of India. The Bahá’í Faith, has roots dating from 19th-century Persia, its founder, Bahá’u’lláh died a prisoner when he was exiled to the Ottoman Empire for his teachings. Three core principles are emphasized in the Bahá’í religion: (1) The unity of god, (2) The unity of religion, and (3) The unity of Humanity. Inspired by the lotus flower, a symbol of purity, the Lotus Temple is composed of 27 free-standing marble clad “petals” that form nine sides of three clusters each. 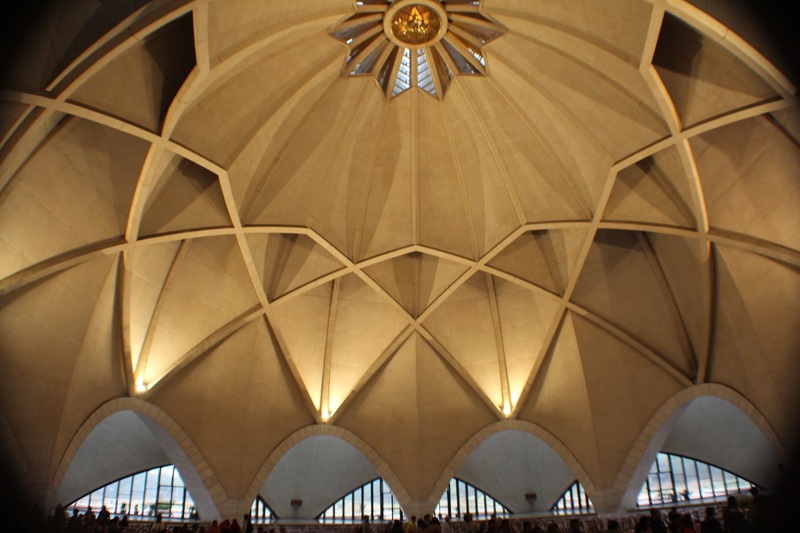 Each of its nine doors open into a central hall that is more than 40 meters high, and can hold a total capacity of 2,500 people. The engineer in me was completely awe-inspired by this building. Not only is it remniscent of the Sydney Opera House in Australia, but its a challenge to grasp the depth of shell-stresses and structural analysis involved in the fabrication of each monstrosity of a petal. 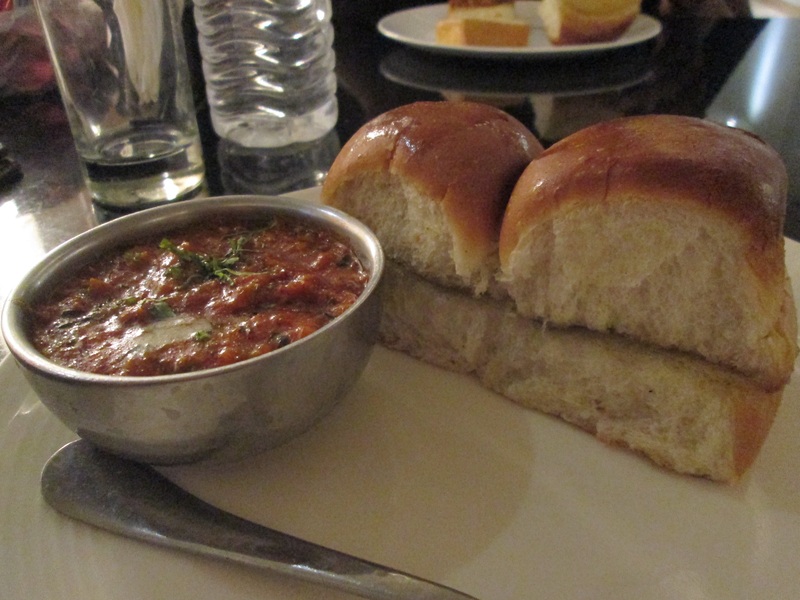 We finished our day by savoring a snack of Pao Bhaji (Bombay street food, very similar to the American Sloppy Joe, except vegetarian) and having Tea, before retiring to our rooms to pass out.